"Already the Great Intelligence begins to take on material form. But it demands more. It must expand!" 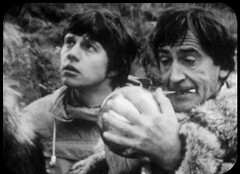 When it fails to react The Doctor walks up to it, unscrews it's chest panel and removes the control sphere which he gets Jamie to hold as he hunts for the tracking equipment in the Tardis. 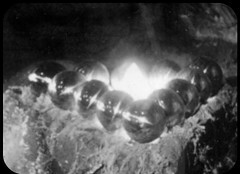 In the cave Travers sees he pyramid cracks open spewing a glowing foam into the cave. PADMASAMBHAVA: Come in, my child. Come in. You have no alternative. 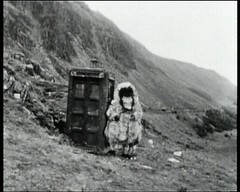 A small amount of footage of the Yeti in this episode remains that was used in other programs. 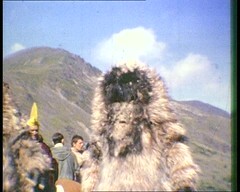 This can be found on the Doctor Who - Lost In Time DVD set along with some colour cine film taken at the location shoot by the story's director Gerald Blake which also features the Yeti! 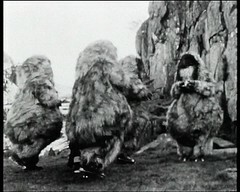 A Doctor Who staple for the next few years makes it's début in this episode: Please welcome the foam machine! Any excuse and the special effects team will be pumping foam all over the set or location! Many of the character names in this story are taken from Buddhist history & mythology. Padmasambhava was a 8th century AD guru, also known as Guru Rinpoche and gives his names to two characters here. There may be others as well, but my knowledge of Buddhism is a little limited! When Terrance Dicks novelised the story his friend, and practising Zen Buddhist, Barry Letts advised him to change some of the names. 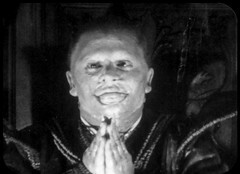 Playing Padmasambhava, seen for the first time at the climax of this episode, is Wolfe Morris. He's got an appearance in Out of the Unknown to his name playing Smithers in the now missing second season episode Frankenstein Mark 2. His brother is the actor Aubrey Morris. 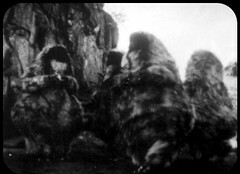 Reg Whitehead, Tony Harwood, John Hogan and Richard Kerley are the four actors playing Yeti in The Abominable Snowmen, all of whom appeared in the previous story, Tomb of the Cybermen, as Cybermen. 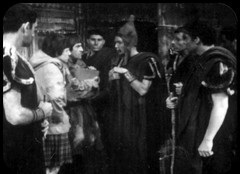 Reg Whitehead has already been a Cybermen in The Tenth Planet, The Moonbase & Tomb of the Cybermen where he gets a name check when Klieg refers to the fictional "Whitehead Logic"in episode 1! 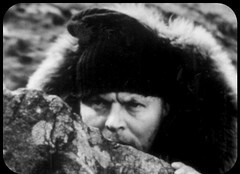 In addition to the Yeti in this story he also plays the doomed explorer John in the opening moments of the first episode of this story. 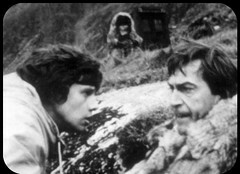 It's Tony Harwood's second Doctor Who appearance here, after the Cybermen in the previous story, and he'll be back as the Martian Rintan in the next, The Ice Warriors, before playing other Martians in The Seeds of Death & The War Games as well as Flynn in The Ambassadors of Death. 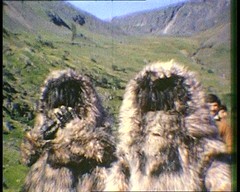 Interestingly none of them return as Yeti in their second appearance, The Web of Fear, but another former Cyberman from the Moonbase, John Levene, is inside a Yeti there! 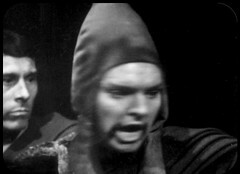 His future credits include a Cyberman in The Invasion, a Military Policeman in The War Games, the Silurian Scientist in Doctor Who and the Silurians, a Primord in Inferno, the Auton Leader in Terror of the Autons, a Primitive, the Voice, Long, and a Colonist in Colony in Space, a Sea Devil in The Sea Devils, a UNIT soldier in The Three Doctors, a UNIT Corporal in Invasion of the Dinosaurs, a UNIT soldier at the start of the bizarre episode long chase in part 2 of The Planet of the Spiders, a Thal Soldier in Genesis of the Daleks, a Soldier in The Masque of Mandragora, a Medic in The Invisible Enemy, a Pilot in The Armageddon Factor, and as uncredited as Grogan in Enlightenment. He may well have been in more episodes: spotting Pat Gorman is a popular game amongst fans and DVD commentary participants! His earliest non Who appearance that I've definitely seen is The Prisoner: Hammer Into Anvil where he's a Hospital Orderly. Sadly his Doomwatch appearance as a man in Hear No Evil is missing, but I know I've seen him in Fawlty Towers: The Builders as a Hotel Guest even if I haven't spotted him. He's in the I, Claudius episode Reign of Terror as the Captain of the Guard and a pair of The Sweeney episodes, Thou Shalt Not Kill & Latin Lady as a Flying Squad Officer. I have spotted him in Porridge: The Desperate Hours as a Prison Officer who walks into the gents as Fletcher is sampling the home brew! He goes over to ITV's sci fi series The Tomorrow People as a US Marine in War of the Empires: All in the Mind & Standing Alone before staring his Blake's 7 career as a Scavenger in Deliverance, a Federation Trooper / Rebel in Voice from the Past, the Trantinian planet hopper Captain in Gambit, a Death Squad Trooper in Powerplay, two more Federation Troopers in The Harvest of Kairos & Rumours of Death, a Hommik Warrior in Power, a Helot in Traitor and back to being Federation Troopers in Games and Blake which means he's present in the climatic final scene! He's in Eric Sykes' second, 1979, version of The Plank as a Dustman. 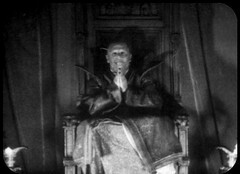 Regular Doctor who director Douglas Camfield uses him in The Nightmare Man as the Killer in episodes 3 & 4 as well as Camfield's final production Beau Geste as a Legionnaire in episodes 4 to 7. 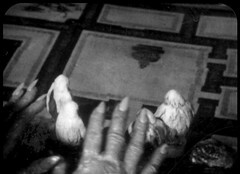 Another Doctor Who director, and Blake's 7 producer, David Maloney uses him again in The Day of the Triffids as a Blind Man in the fifth episode. He was in Doctor Who writer Robert Banks-Stewart's detective show Bergerac as a Policeman in The Hood and the Harlequin and made FIVE appearances in The Professionals: a Golfer in Killer with a Long Arm, a CI5 Agent in Close Quarters & Servant of Two Masters, a Security Man in Weekend in the Country and the Police Superintendent at inquest in Discovered in a Graveyard. He's a policeman again in The Young Ones: Interesting and modern Doctor Who executive producer Russell T Davies uses him as a heavy in the opening episode of his Children's sci-fi drama Dark Season. And that's barely scratching the surface of what he's done!